by Graham Towl and David Crighton. With a Foreword by Lord Toby Harris. The definitive guide from two leading authors central to developments in the field. 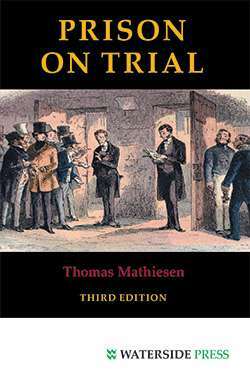 An invaluable book which covers everything from theoretical and community research to precisely what is known about prisoners and the risk of their completing suicide. Covers the Harris Review and Government Response to it as well as the stance of politicians, reform groups and other leading experts on what in 2017 is an escalating problem for UK prisons. Contains analysis and data from over 30 years, bringing together key knowledge and information at a critical time of concern and attention. 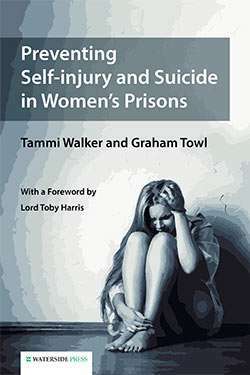 'This work is a major contribution to the study of prison suicide... a resource for all those concerned with reducing prisoner suicides. It can be recommended as just that'-- Independent Monitor. 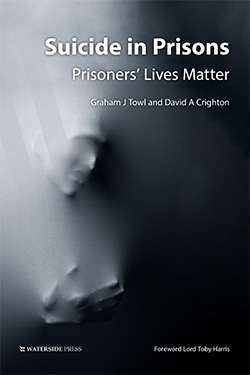 'A comprehensive overview ... balancing pragmatic analysis with a humane appeal for this issue to be given the attention and resources it deserves and needs.. a practical book that contains real and grounded guidance and direction for the prison service and the politicians who resource it... an accessible and irrefutable case for how prisons themselves might start to do things differently'-- Probation Journal. A superb publication and coming at exactly the right time. This book cuts through the rhetoric with a forensic analysis of the problems coupled with practical, low cost and rapidly achievable recommendations. 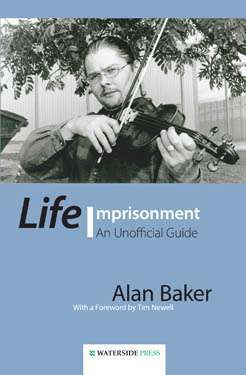 It makes for uncomfortable but essential reading for all those responsible for the policy and practice of suicide prevention John Podmore, International Prisons Consultant and former prison governor. 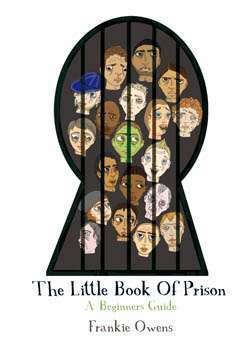 a call to arms for those working in penal research, policy and practice Philippa Tomczak PhD. Criminology Research Fellow, School of Law, University of Sheffield; Leverhulme Trust Early Career Research Fellow. A book for practitioners, policy-makers, researchers and students alike Carol Robinson, University of York. An important book about a subject that receives too little attentionJohn Bateson, San Francisco, author and former suicide prevention counsellor. 'Suicide in Prisons not only provides a unique platform where psychological theory and research meet, but also goes one step further, and puts the emphasis on the role of practitioners in the implementation of empirical findings in their everyday work. 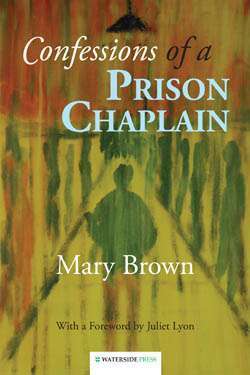 Written in a very clear, coherent and accessible way, this book is a, 'must-have' for everyone who works with prisoners' Joanna Golec, MA in Psychology, Jagiellonian University, Krakow, Poland. Professor David A. Crighton is a Consultant Psychologist and Hon. Professor of Psychology at Durham University (UK). Professor Graham J. Towl is Professor of Forensic Psychology at Durham University and Visiting Clinical Professor at Newcastle University (UK). 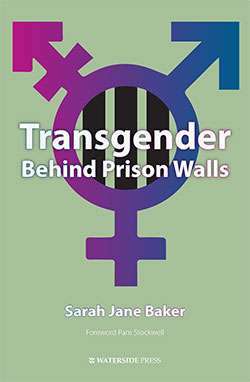 He is the joint author of the award-winning Preventing Self-injury and Suicide in Womens Prisons (Waterside Press, 2016). Lord Toby Harris was Chair of the critically placed Independent Advisory Panel on Deaths in Custody and Chair of the NOMS review into self-inflicted deaths in its custody (The Harris Review) 2009-2015. All author proceeds go to the Samaritans. Alternative format ISBNs: PDF ebook ISBN 9781910979303. EPUB / Kindle ebook ISBN 9781910979297.